We are pioneer in offering Pitless Weighbridge to our clients. Our offered weighbridge is designed by our skilled professionals in such a manner to provide complete weighing solutions for all types of on-road vehicles even during adverse climatic conditions as well as heavy duty usages. 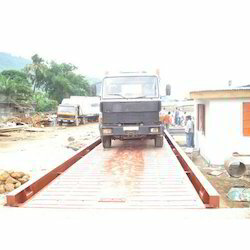 Moreover, this weighbridge is ideal to use where space is limited.